Our third vote of 2019 is now live, so Critters, which would you like to see made into a resin miniature from this motley crew? The winning miniature will be available first at Origins Game Fair in Columbus but will be available via the SFG webstore too! Could it be Earthbreaker Groon, ready to show off his martial prowess and frankly impeccable facial hair? Earthbreaker Groon made his debut in the episode ‘The Rematch’ back in December of 2015. 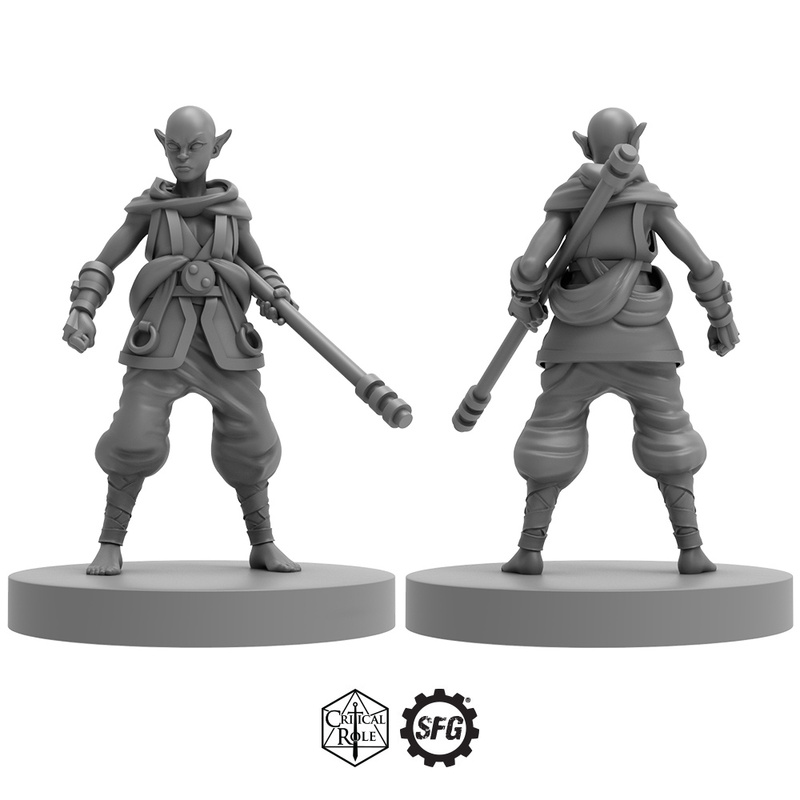 Could it be the elven monk, Dairon? Dairon first appeared in the episode ‘Disparate Pieces’ in February of 2018. Or Perhaps Victor, the eccentric vendor. Victor was also first seen in the episode ‘The Rematch’, where Percy acquired some black powder. The choice is entirely up to you! We invite you to vote here and stay tuned for the announcement of the winner on May 2nd! We’ve begun to see some Orlys out in the wild! Our assembly and painting Orly tutorial can be found here if you need some assistance! We’re keeping an eye on this Work in Progress by @Amateur_Minis – we’re loving the river edge theme so far! Be sure to tag us on Twitter & Instagram with #CrittersPaint to show us your hobby progress!